Water! You use it every day in your home without even thinking about it. However, if there’s an issue within your water system, and the damage to your home can be tremendous. Ark Labs has created a solution that can help you not only monitor your water usage but also turn the water off with ease if a problem occurs. Ark Labs new water system monitoring solution, DRiY, works with artificial intelligence software to keep track of your water usage. It learns your habits and patterns as they pertain to water usage and then alerts you of any anomalies via an app on your smart phone or tablet. This allows you to see how much water you are using and when you are using it. It also gives you a heads up when there is a potential problem or leak in your water system. That’s where the second part of Ark Labs DRiY becomes essential. The system has an electric water shut off valve which allows you to turn the water to your home off remotely. You can use the DRiY app to turn the water off whenever you suspect there might be an issue. This gives home owners peace of mind whether they’re traveling or just away for an evening. If you are alerted to potential problems and can act to prevent water damage to your home from a remote location, you can feel more comfortable while you’re out. Today’s 21st century smart home requires smart products and solutions that will work alongside the advanced technologies we have available. Ark Labs DRiY solution does exactly that. It allows home owners to monitor water usage, control the system using the electric water shut off valve, and have the reassurance that their homes will be free from unforeseen water damage. If you would like more information about how DRiY can benefit you in your home, contact Ark Labs today. While the IoT creators have promised the public a simplified, smart home filled future, it seems that the concept is not taking off as planned. In fact, some think IoT is a hyped up trend that is not here to stay. While some IoT products have become popular in the past few years, the lack of excitement on the matter was not expected. Insiders say that there is a barrier keeping people from purchasing these devices. For example, many smart home devices cannot talk to each other. Each one has its own hub or smartphone app. Nothing has a single command center and people are overwhelmed by the excessive apps for each product. Additionally, many people are still confused on the IoT concept and why it could be an asset to their lives. Instead of selling people products that fix problems they did not realize they had, IoT should be fixing problems people are really struggling with. While these types of products may not be as cool as the former product, these products would definitely sell more and be more useful. Here are some types of products to help IoT to get back on track. · Security- people work hard for the things they own and nothing is worse than fearing you, your family, and your possessions are in danger. While there are some IoT products currently on sale for security, many of these products are flawed. People are not purchasing them just yet because they have not found a single product that can do more than their security company already does. · Loss- almost everyone has lost something at one time in their life whether it is their wallet, keys, or their phone. Location tracking could make it extremely easy to find these lost items. While the Tile brand does exist in this area, other businesses need to take advantage of this as well and give customers more choices. IoT is expected to grow immensely in the next few years. Instead of making cool gadgets, IoT creators need to start making gadgets that solve problems that people currently have. By exploring new markets, IoT has the potential to grow far more than they ever expected. Recently, it seems smart home technology is finding a home with every type of person ranging from the baker to the crafter. Many moms start crafting in the fall due to the chillier weather and the fact that their kids are back in school for all of the fall holidays. Since moms are busy enough as it is, smart home technology has strived to make their crafting life just a bit easier. Two smart home products can definitely help out a crafty mom- a voice controlled home assistant and an automated vacuum cleaner. With a voice controlled assistant such as the Amazon Echo, crafty moms can ask for measurements without pulling out their smartphones, control the lights without lifting a finger, and change the temperature without having to abandon their project when it gets too hot or too cold. Anyone who has ever crafted knows that craft supplies such as thread, paper, glitter, and beads can get quite messy. Oftentimes, the aftermath of a craft lasts much longer than the craft itself. With the use of an automated vacuum cleaner such as the Roomba, crafters would be able to finish their project feeling stress free knowing that they would not have to spend hours cleaning up afterwards. As time goes on, more people are finding extensive use for smart home products, even crafters. In recent years, research has continuously shown that having a smart home could potentially help people sell their homes faster. 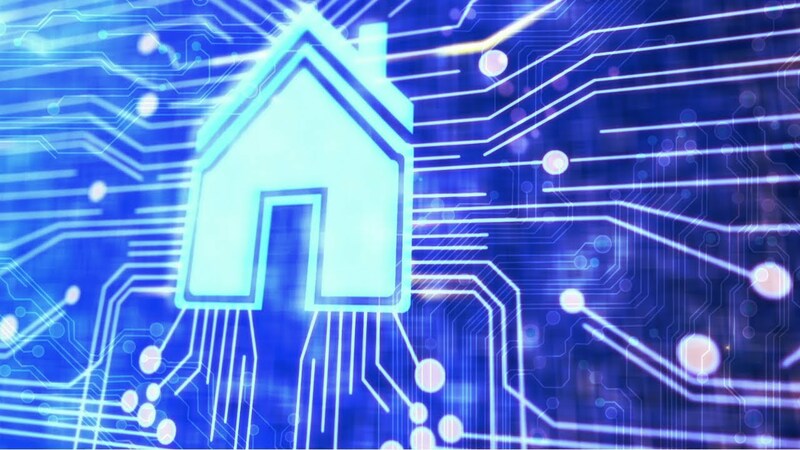 Buyers are mostly interested in homes that have smart home technology already installed. One of the main reasons people shy away from smart homes is because of their complicated installations. In a recent Coldwell Banker Real Estate study, 54% of people said that if they were choosing between identical homes and the only difference was that one was smart and one was not, they would choose the smart home. Not only that, 61% of millennials seem to be favoring smart homes over anything else. Additionally, many buyers say they are willing to pay more for a house that has smart home capabilities. These buyers would even pay extra for the owners to purchase and install smart home products such as security cameras and doorbells. With the amount of smart home technology on the market, buyers not only look for smart home technology when they are purchasing a home, they expect it. In previous years, a smart home was on the expensive end of the market. Thanks to advances in technology, the smart home has now entered the more affordable market, becoming widely available to those interested in its abilities. Many people have asked, “What makes a smart home earn the title of smart home?” It certainly is not just the installation of one smart home product. An actual smart home has several network connecting products such as a thermostat, lighting, security, and entertainment. As owners try to sell their homes and millennial buyers enter the market, the world can certainly expect an increase of smart homes on the market in the near future. In recent years, homes are being run over by the latest trend train- smart devices that strive to make life easier, cheaper, and better for the environment. Smart home products are slowly becoming a household essential. From security cameras to light bulbs, almost everyone can find a smart home product to fit their needs. Here’s a list of four interesting products to consider. Universal Remote- this updated universal remote is nothing like the ordinary ones we have been using on our TVs. In fact, the latest $500 version takes the remote to the next level. Compatible with over 300,000 devices and being touch or voice operated, this remote can easily control lighting, TVs, dvd players, and WiFi speakers. Additionally, this remote can be preprogrammed to turn on the news in the morning and to play music at dinner time. Although it has a hefty price tag, this remote has a promising future. Personal assistant- whether you prefer a stationary device like the Amazon Echo or mobile robot versions like the Domgy, personal assistants will soon be the main hub for smart home technology. Most of these assistants are now voice controlled so your smart home can be controlled without even lifting a finger. Scales- with the ongoing trend of striving for a healthier and happier life, WiFi connected scales are the latest trend on the market to help people reach their goals. Unlike a normal scale, these scales can gauge your heart rate, BMI, muscle mass, body fat, and heart health. Not only that, many of these scales are connected to an app so your body data is at the tip of your fingers. Whether you already own smart home products or are just considering purchasing one, these products are certainly worth a look. Researchers predict that within the next few years, smart home products will be more popular than ever before. Recently, when people think of smart homes, they also think of Amazon’s smart home assistant, the Amazon Echo. The Amazon Echo is powered by Alexa, Amazon’s version of Siri. Since its 2014 release, the Echo has made quite an impression on the smart home world. In September 2016, Food Network chose to launch a skill on the Echo and its related devices. By partnering with the Amazon Echo, Food Network lovers will be able to ask Alexa for information on network shows, the show schedule, and even recipes that they saw on TV. To add this skill to the Echo users simply ask Alexa to enable the Food Network skill. From then on, users can ask Alexa any Food Network related questions ranging from “What’s on the Food Network tomorrow?” and “Alexa, send me that recipe from Giada at Home today.” With this skill enabled, the possibilities are endless for Food Network lovers. Food Network added this feature to prepare for the amount of people slowing gravitating to the use of smart home products. Food Network is ahead of the game because they know that the voice control market will be booming within the next few years. Soon, other networks will be following in Food Network’s steps, furthering people’s use of the Amazon Echo and other smart home products. Now that the U.S. has officially entered the fall season, it is even more important to keep water efficiency on the brain. During the summer, it is almost a no brainer to be saving water with the dry conditions. During the fall, people tend to forget about conserving water. Despite this common occurrence, water conservation should be a year round habit, not just during the hottest time of the year. Here are a few reminders to keep water efficiency on the brain. Change your sprinkler timer- this is one of the most important tips. Since the weather is starting to cool down, landscapes will not need as much water. Also, when it rains, it is important to remember that plants do not need to be watered at all. Start “planting” ahead- fall is the perfect time to plan ahead for the spring. Not only will it be easier to garden in the cool weather, plants planted in the fall tend to need less water and look almost perfect in the spring. Check for leaks- while you can do this year round, fall is a great time to check for leaks again. Fix leaks as soon as possible to avoid losing any more water or money than necessary. Install efficient water appliances- water use can be reduced by nearly 1/3 just by switching to efficient appliances. Since summer is over, stores like Lowes and Home Depot will be empty, leaving the perfect opportunity to browse the store for the latest efficient appliances. Although fall tends to be cooler and more relaxed than summer, it is important to keep water efficiency on the mind throughout all seasons. The more action people take on this issue, the better off Earth will be. While many people are interested in energy efficient options for their home, some people shy away from actually doing so due to the excessive cost. Fannie Mae’s new HomeStyle Energy mortgage loan lets people qualify for a bigger loan than usual so they can afford to update their home with energy efficient options. If buyers are purchasing a new home or refinancing, they can potentially get enough added to their loan to cover the cost of several energy efficient projects such as new windows, solar panels, water efficient appliances, and insulation. While this loan covers several thousands of dollars in these types of projects, larger loan amounts require an energy report to prove that the energy improvements will help save money in the long run. Basic improvements such as temperature controls, windows and doors, and insulation do not require energy reports since they are proven to be cost effective. Research shows that home buyers are now actively looking for energy efficient homes. Not only will upgrading to an energy efficient home be good for the environment, it will also add value to the home. When buyers go to sell, they can change nearly $10,000 extra because of the energy efficient improvements made. Not only that, they can save hundreds on their utility bills. Fannie Mae’s program is part of an initiative to encourage people to make environmentally friendly choices when it comes to their homes. Initiatives such as this one will push more people in the right direction and help support Earth’s ecological balance. When it comes to climate change, one of the biggest concerns is how the rising temperatures will affect agriculture. While researchers know crops will be affected in some way, they are uncertain of how big the impact will be. In a recent study, researchers discovered that wheat, the most significant crop in human consumption, might be in serious danger due to climate change. The rising temperatures are expected to be severely bad for wheat growth. The study was conducted by scientists from the U.S., Europe, and China. They compared three different methods to assess the impact of temperature change on wheat. 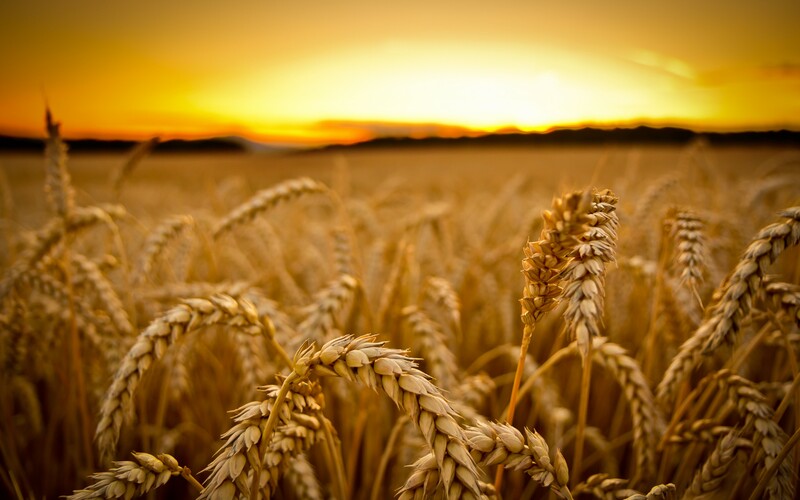 Currently the world produces nearly 800 million tons of wheat each year. This crop is converted into bread, pasta, cakes, cereal, and other yummy foods. Even a small decrease of 5% could lead to a loss of nearly 40 million tons annually. Essentially, climate change potentially means huge trouble for our global food supply. Unfortunately, warmer regions of the world are expected to have the greatest temperature related crop losses. The future of climate change and its effects are very uncertain. Research shows that climate change may even positively affect some crops. Although the concept itself is very difficult to comprehend, it is important that the world stay educated on the topic to be better prepared for the uncertain future to come. Along with the release of Apple’s new iPhone is their new Home app called HomeKit. HomeKit helps control a variety of smart home devices with the click of a button. Although it took longer than usual, Apple has finally joined the market to compete along with Amazon and Google. Over 50 companies have partnered with Apple to make this app possible. Users can now ask Siri to control various smart home products such as the lights and the TV. HomeKit controls smart home devices all within one single app. This is the one thing that smart home users have been asking for- a command center for all their smart devices instead of a separate app for each one. The app has three main categories: rooms, scenes, and automations. Rooms would allow the user to organize the app by room such as the bedroom and the kitchen. Scenes would set the mood for certain situations such as movie night or dinner time. Automations uses the iPhone’s location settings to set devices on automatic such as turning the lights off at a specific time. As stated by Tim Cook, “This is the first time that home automation has been integrated into a major platform.” Smart home users have been begging for this app command center since the beginning of the smart home era. Only time will tell whether or not Apple’s smart home venture is successful. Like many Apple products, this app is expected to become very popular within the coming year.